There was a sexual assault incident reported by Miami Springs Police that occurred at the 900 block of South Royal Poinciana Boulevard. (That’s where the Aladdin Hotel is located.) The incident occurred on January 5th around 5am. We report this each month and it’s clearly the most common crime in Miami Springs…Vehicular Burglaries. 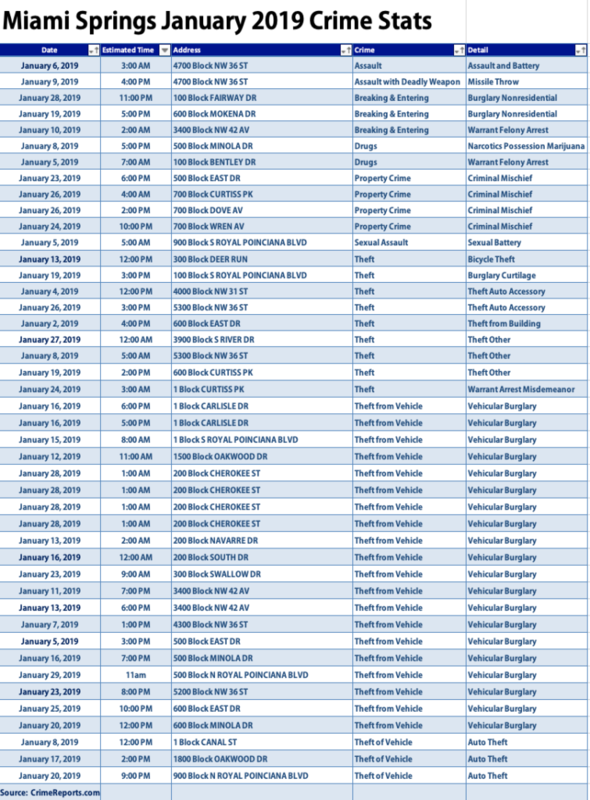 The month of January was no exception with 20 reported incidents of thefts from vehicles. That was up 25% compared to the month of December where there were 16 reported incidents. Key takeaways: 1 – Lock your car. 2 – Don’t leave valuables inside your car. 3 – If you see someone or something suspicious, call the Miami Springs Police at 305.888.9711. 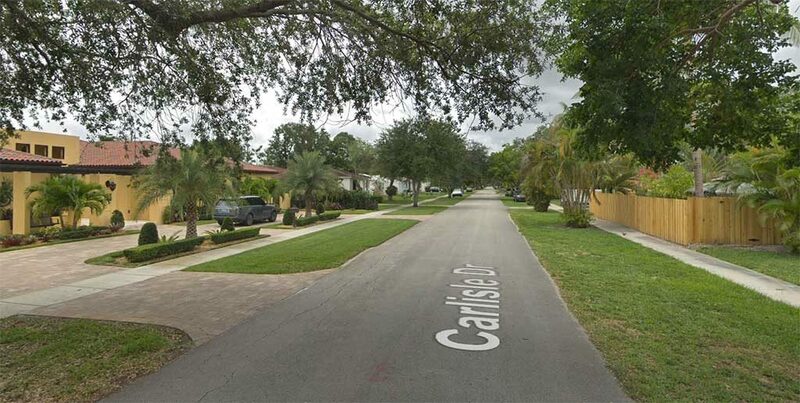 There were 3 reported incidents of vehicles stolen in Miami Springs in January. That’s down from the 5 stolen vehicles in December. There were 3 reported incidents of breaking and entering. Fortunately, these were non residential break ins. There were no residential burglaries in January. There were two cases of assault in January or down 60% compared to December. Both cases were along NW 36th Street. Drug crime incidents are rare in Miami Springs, but there were 2 incidents in January. One was a case of possession of marijuana on the 500 block of Minola. The other case was a warrant felony arrest that occurred on Bentley Drive. There were 9 reported incidents of theft in January compared to 8 in December. One bicycle was stolen along the 300 block of Deer Run. 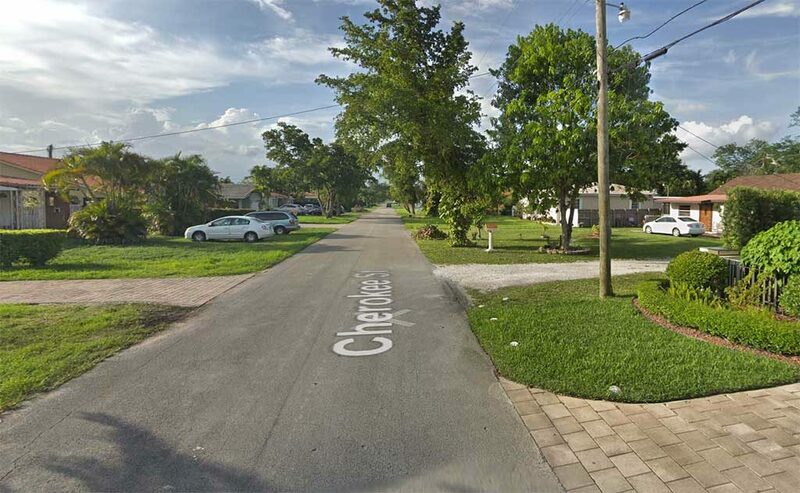 There was one case of burglary curtilage along the the 100 block of South Royal Poinciana Boulevard. There were 2 cases of theft of auto accessories. There were 3 incidents classified as “theft other” in January. There were 4 reported incidents of property crime criminal mischief in January compared to 2 in December.